Ah, those lazy days of summer—or not! Even though the weather has become a lot warmer, don’t allow your dog to become a couch potato. He still needs exercise, although it’s essential to take some extra precautions to keep him healthy and safe no matter how high the mercury rises. Don’t overdo it: During the summer months, it’s especially important to take things slowly with your dog to prevent him from overheating. Keep exercise sessions short and sweet—a shorter walk outdoors followed by a break and then a play session indoors may be just the right mix. 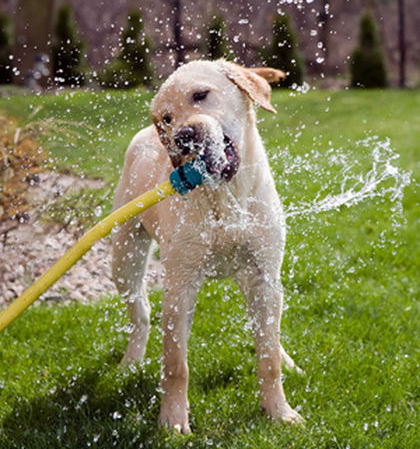 And on especially hot days, try to exercise indoors as much as possible to keep your dog cool and comfortable.